An apple as the earth, and a worm as a human. 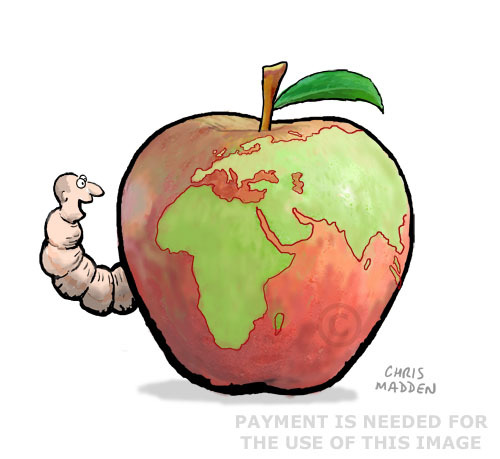 A cartoon showing an apple with a worm – a metaphor for people destroying the earth. The cartoon about the human race’s impact on the earth.